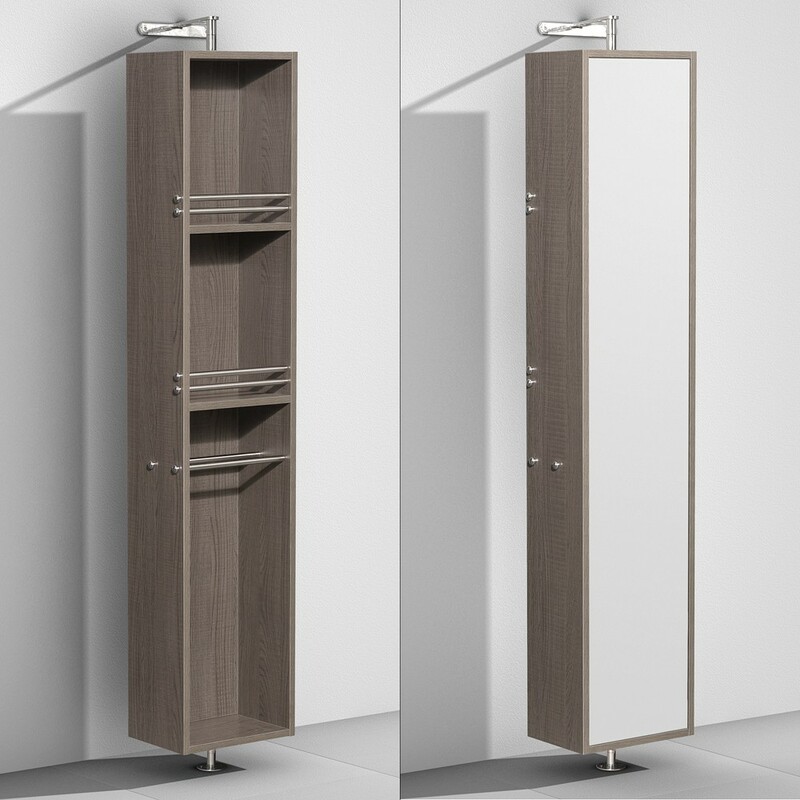 Boasting a Grey Oak finish with a floor-mounted design, the Amare Rotating Floor Cabinet is an easy and attractive solution to your bathroom storage needs. Its wood grain finish makes a perfect match to any of the grey oak finished Amare Vanity Collection. 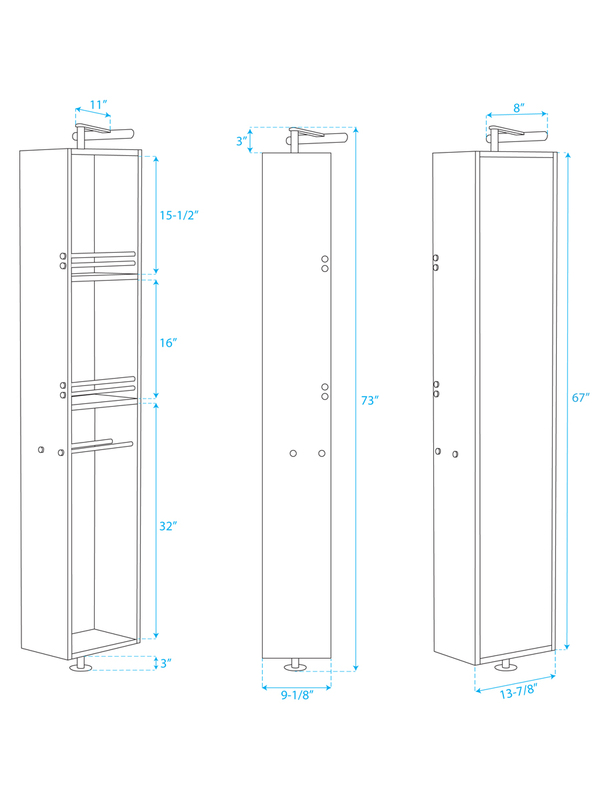 It offers two shelves, two towel bars, and a full-length mirror.